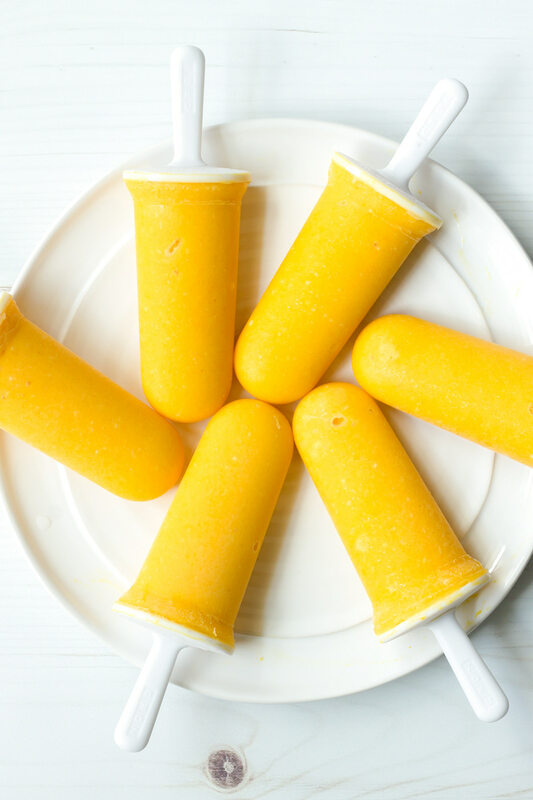 These healthy mango pineapple popsicles are my go-to refreshing dessert during hot days. 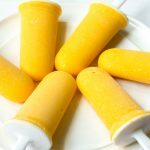 My healthy mango popsicles are made with frozen mangoes and pineapples, as well as coconut milk, mango juice, and honey. I love a good fruit popsicle, especially mango popsicles. Mango is one of my favorite flavors, and I usually like to combine them with other fruits, like pineapple! Whenever I go to the grocery store and see all the popsicle brands and flavors, I can’t help but wonder how many hidden unhealthy ingredients they have. Luckily, homemade fruit popsicles are pretty easy and fun to make. 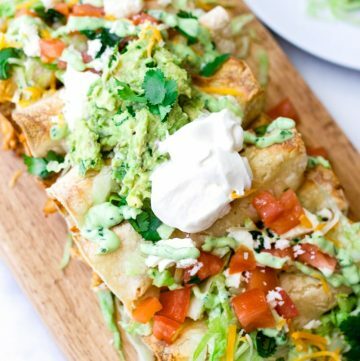 By making your own, you’ll know exactly what goes in! 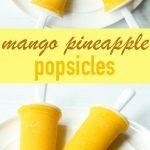 You can even have these healthy mango pineapple popsicles for breakfast – they are pretty much frozen smoothies, right?! This is a way to make breakfast fun and cool. For fun smoothie ideas, check out my Mixed Berry Yogurt Smoothie or my all-time favorite, Mango Strawberry Smoothie! See? I love mango everything! 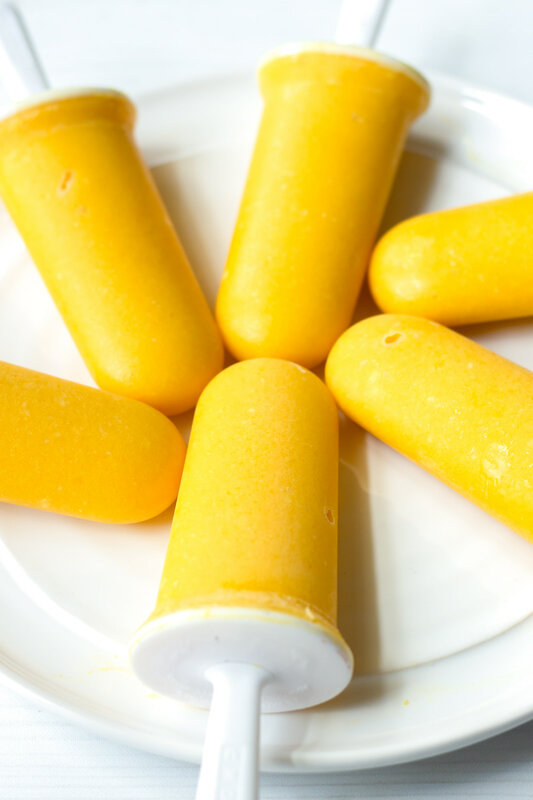 Alright, so let’s talk about these healthy mango pineapple popsicles. 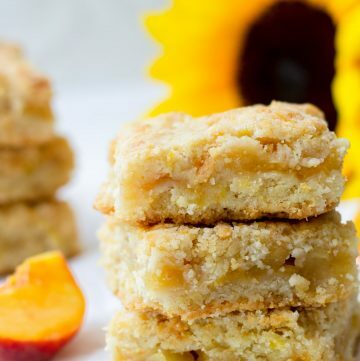 They are made with frozen mango and pineapple chunks. 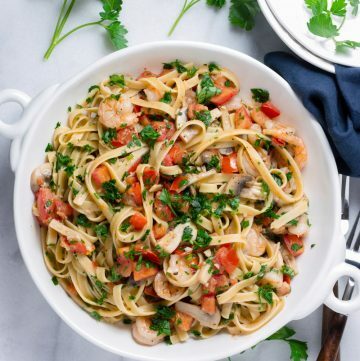 I used coconut milk because it adds another layer of fruitiness and creaminess. For the liquid component, I used Jumex mango nectar (you can find it in the juice section at the grocery store). You can also add homemade orange juice or pineapple juice. Make sure to not use thick juices, otherwise you’ll have a hard time blending. For the sweetener component, I used only a tablespoon of raw honey because I hate overly sweet popsicles of any kind. But, feel free to add a few more tablespoons if you’d prefer. Then it’s all about blending! 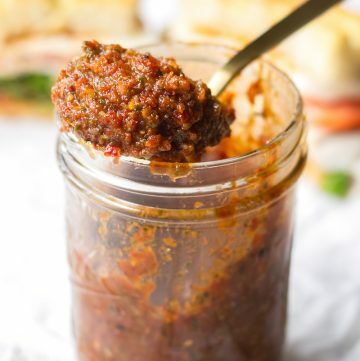 The consistency should be like a thick-ish, smooth puree. 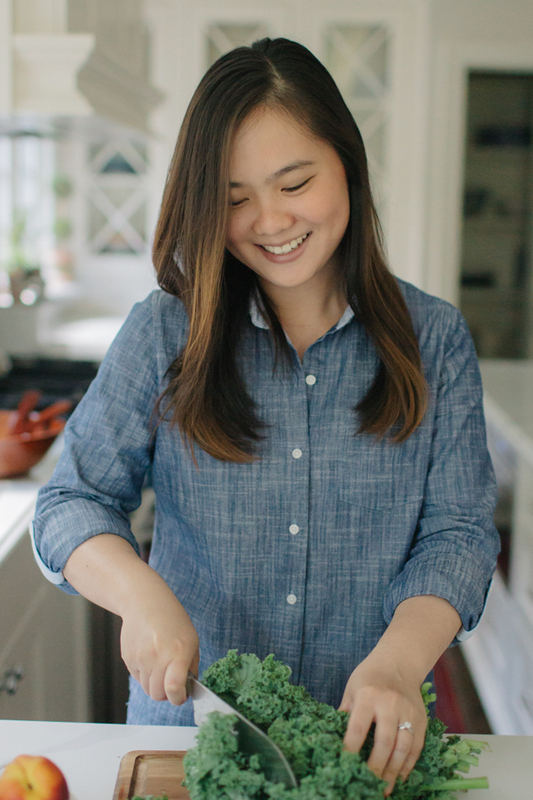 Here’s a quick trick to check for consistency: if the the mixture moves freely in the blender and is not too liquid-y, it should be fine. To be honest, I’d recommend just winging it. If it looks too thick and it’s stuck in the blender, add more juice. 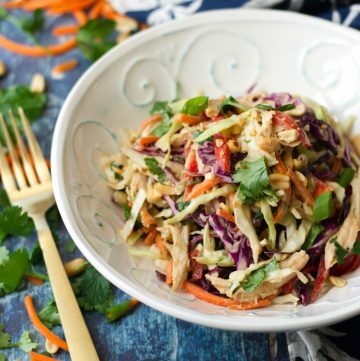 If you think it needs more creaminess, add more coconut milk. If it isn’t sweet enough, just add more honey. Just run it under warm water for a few seconds, and release. It’s really that easy! 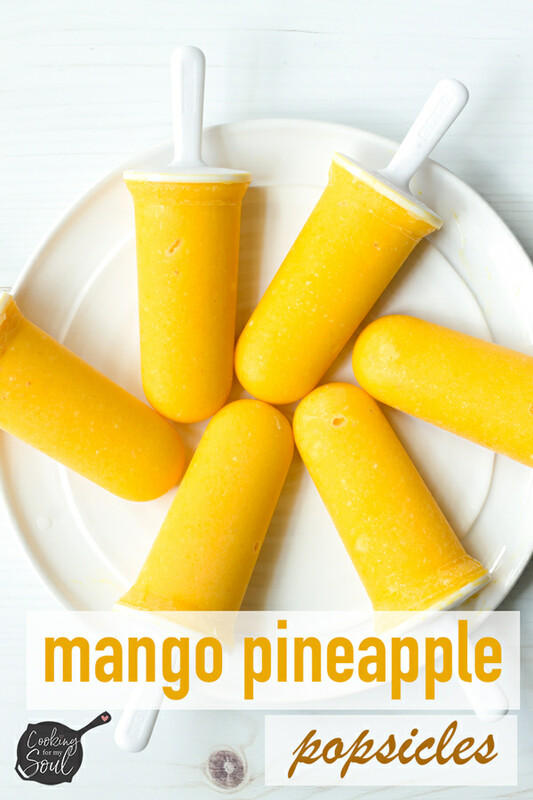 Alrighty, time to make these healthy mango pineapple popsicles, guys! You’ll love them! Strawberry Coconut Popsicles by my friend Caroline! These are so good. Frozen fruit helps with consistency when blending. You can also cut up your own fruit and stick in the freezer for a few hours. You can use yogurt instead of coconut milk. However, because yogurt tends to be thicker than coconut milk, you might have to increase the amount of liquid. I used Jumex mango nectar, but you can use orange juice or pineapple juice, preferably something yellow or orange in color for appearance. 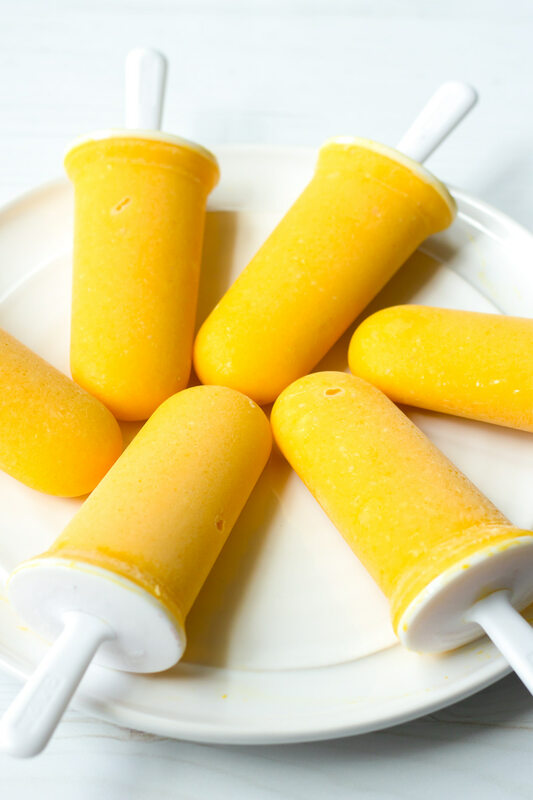 These mango pineapple popsicles are healthy, refreshing, and super fun to make. It just takes some blending and patience while the popsicles freeze! Combine all ingredients in a blender. Blend until smooth puree forms. Add more liquid if needed. Fill popsicle molds with the mixture. I use a small spoon. Freeze overnight. Run each popsicle under warm water for a few seconds to release. I used Jumex brand mango nectar. They come in cans. You can find them in the juice section of most grocery stores. Sometimes, they will have them in the Mexican groceries section too. Add more honey if you prefer. 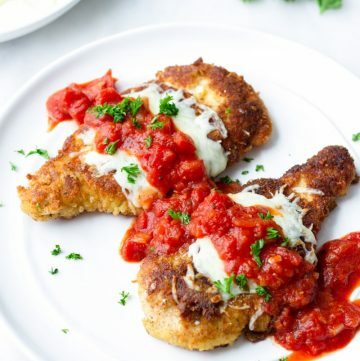 Don't use granulated sugar since it won't fully incorporate, resulting in a gritty texture.